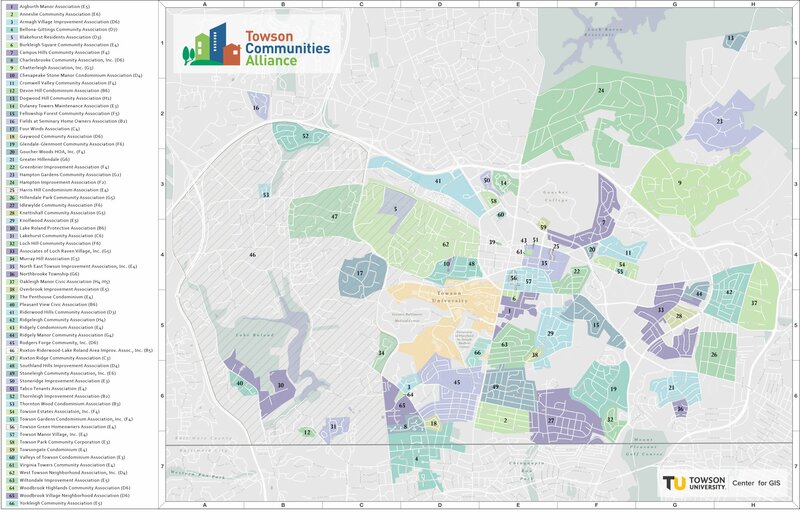 A map of Towson’s neighborhood associations, posted on the Towson Communities Alliance website, is a rainbow of color-coded geometric shapes representing the boundaries of each association. Nearly every densely populated neighborhood in Towson is covered. But there is one gap: a large blank spot over downtown Towson. 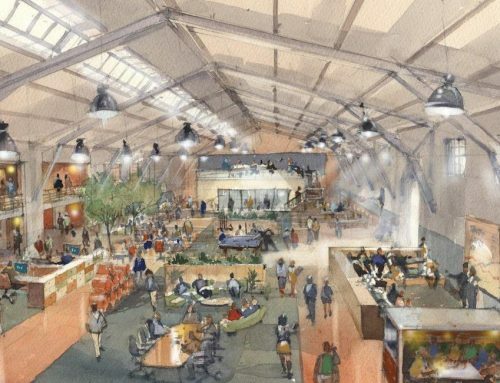 The downtown Towson overlay district is thought of as a business district first, Baltimore County Councilman David Marks said. But as more and more apartment developments appear in the Towson skyline, the area is becoming increasingly residential. Still, there has not yet been a push for a neighborhood association. The Downtown Towson District, officially designated in a bill passed in 2016, covers the area surrounding the traffic circle at which York Road, Dulaney Valley Road, Allegheny Avenue and Joppa Road converge. It is bordered by Bosley Avenue in the west and Fairmount Avenue in the east. Fronda Cohen, a Baltimore County spokeswoman, said an official count of the downtown Towson population is not available. But according to a Towson Times review of the number of units in each major apartment building in the downtown area, once under-construction projects are complete there will be well over 2,000 households in Towson’s center, larger than the number of households represented by many associations in Towson.